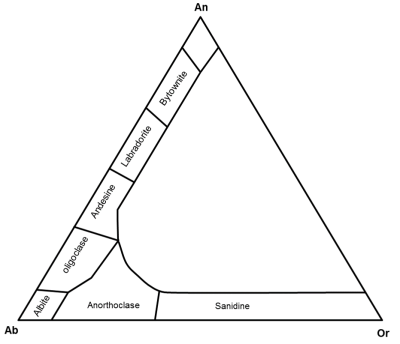 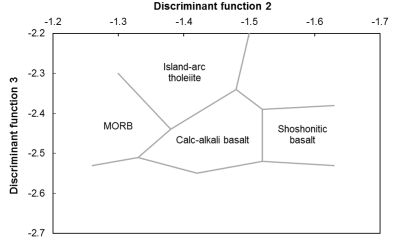 *Please note that all the ternary diagrams were constructed in the Excel package Ternplot (Marshall, 1996). 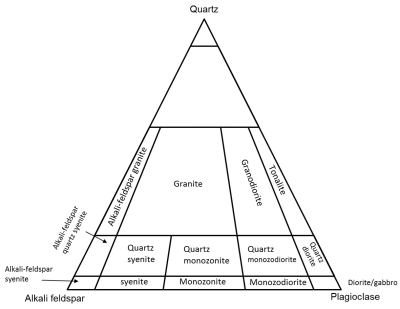 Acknowledge the use of this program. 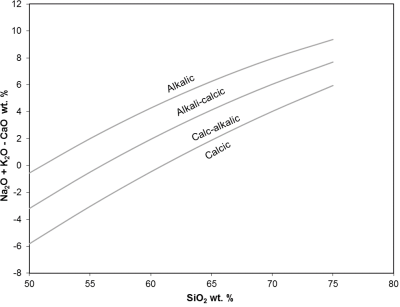 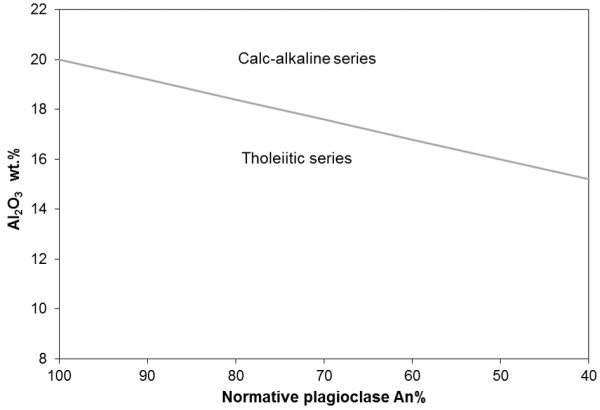 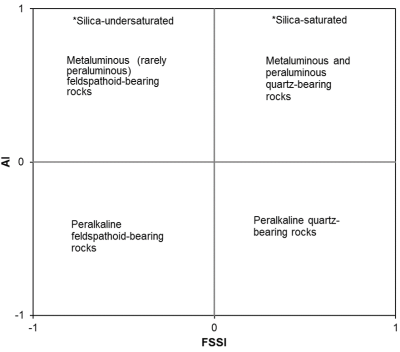 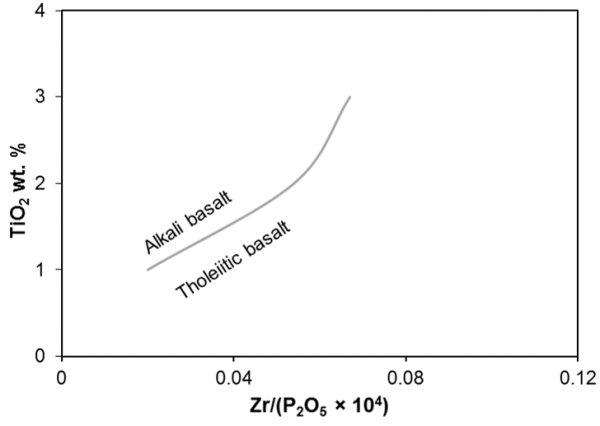 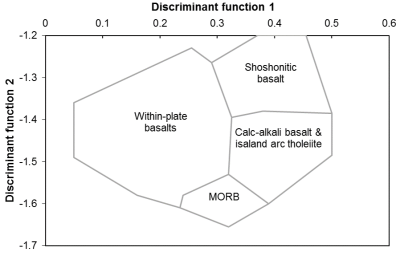 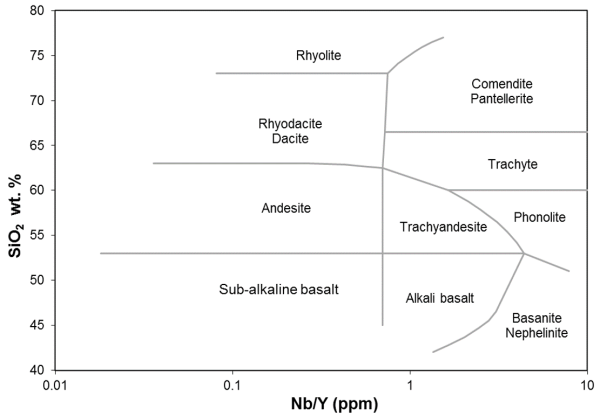 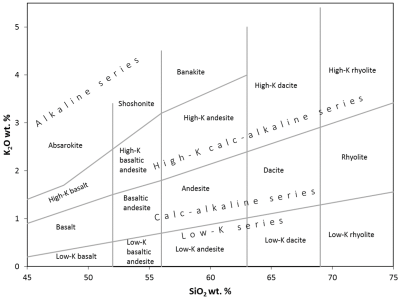 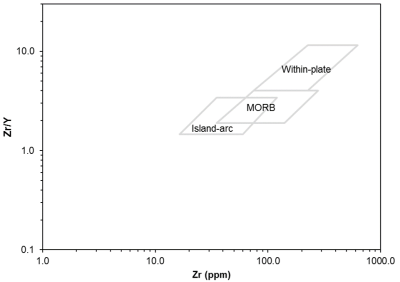 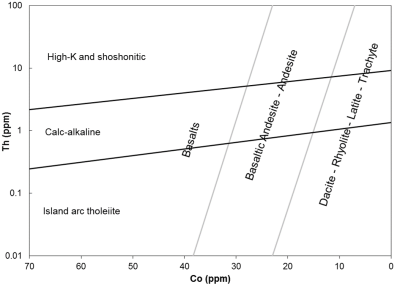 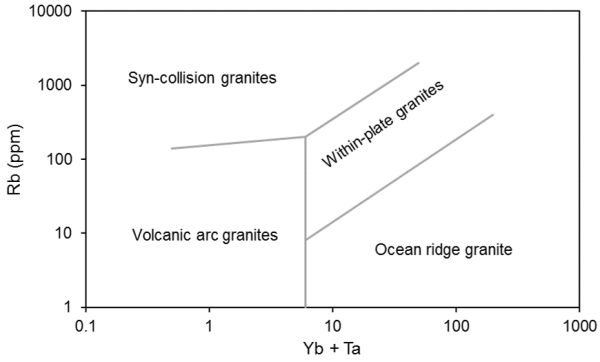 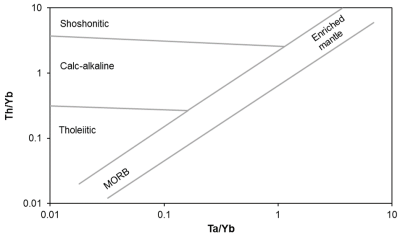 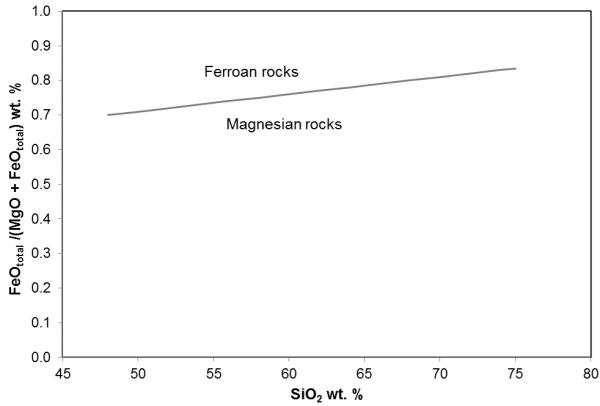 Discriminate between within-plate basalts, MORB & arc. 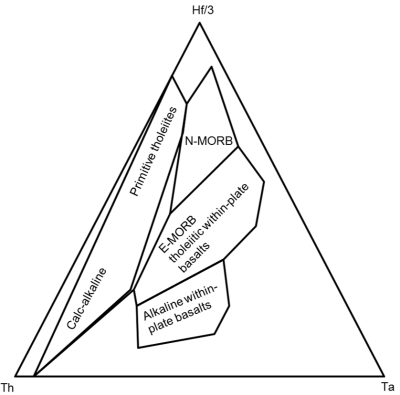 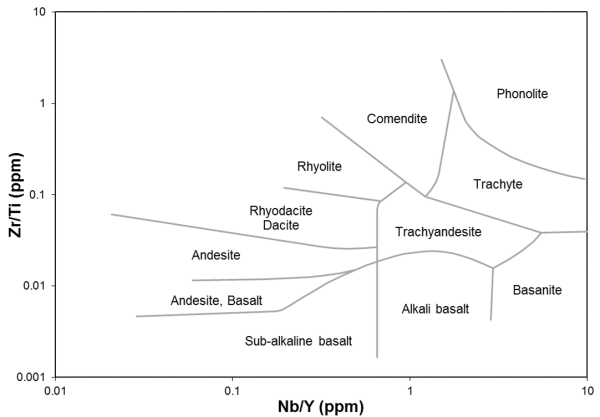 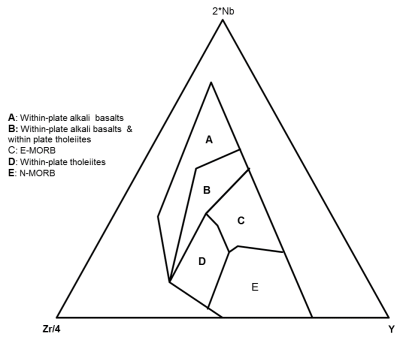 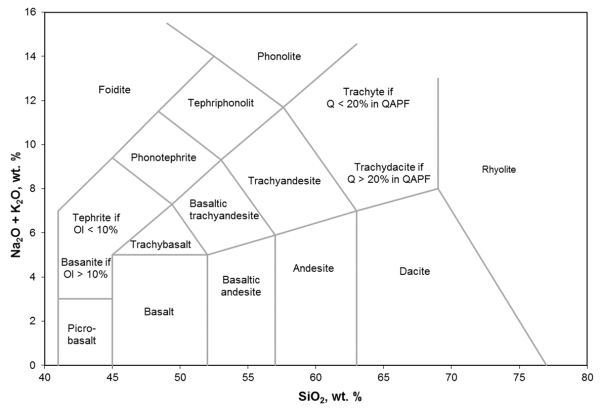 Discriminate arc-type basalts, MORB & within-plate basalts. 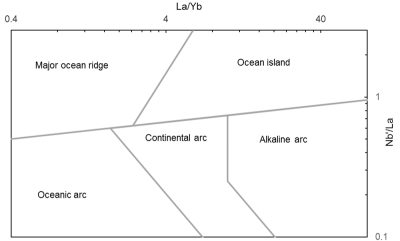 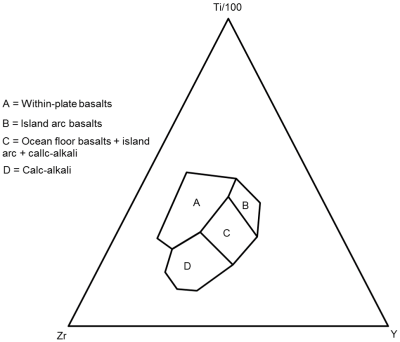 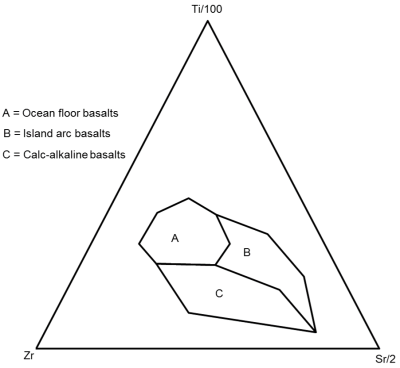 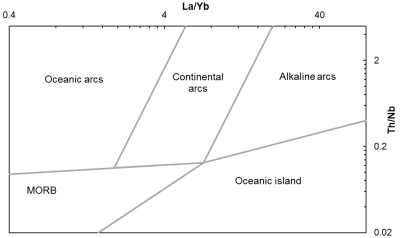 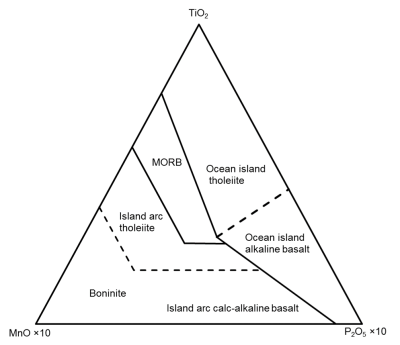 Discriminate arc-type basalts, MORB & ocean island basalt. 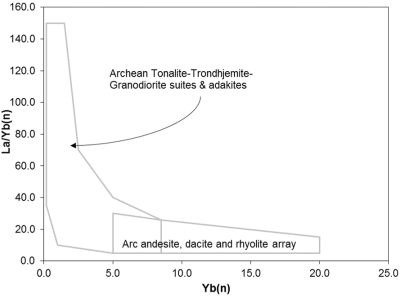 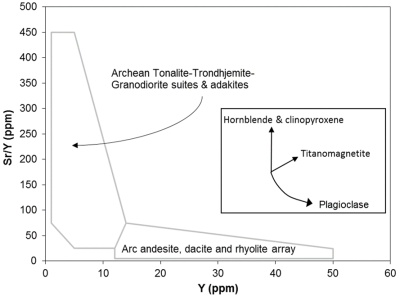 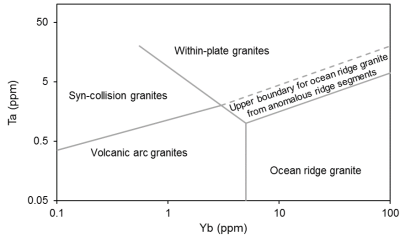 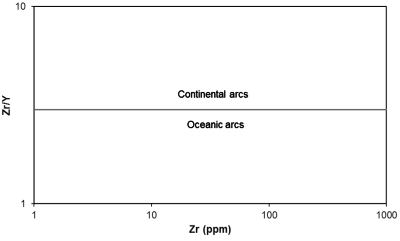 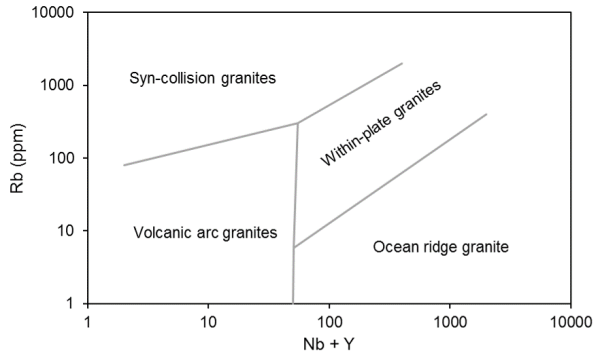 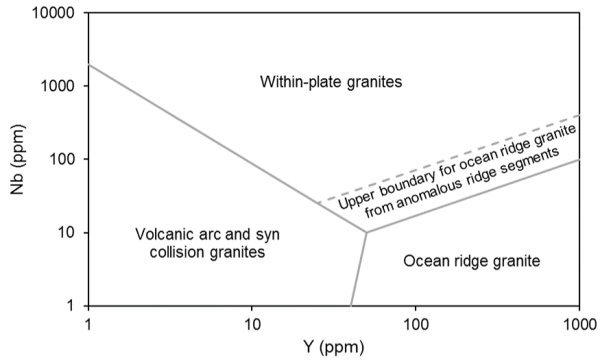 Discriminate volcanic arc (continental & oceanic) vs. mantle melting array. 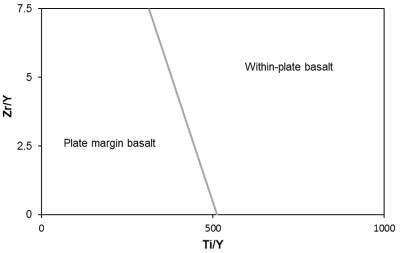 Discriminate within-plate basalts from plate margin basalts. 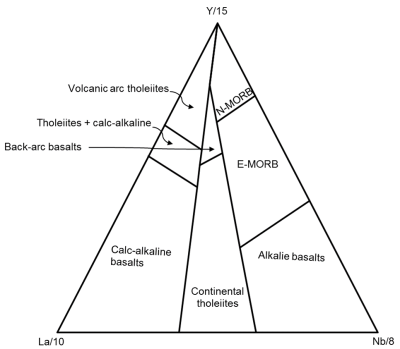 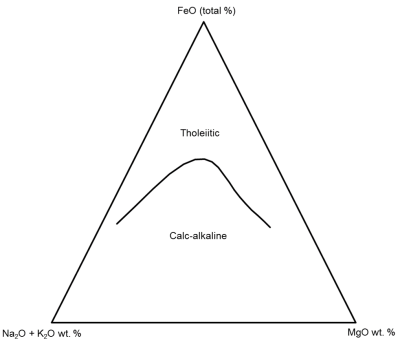 These diagrams use the major elements. 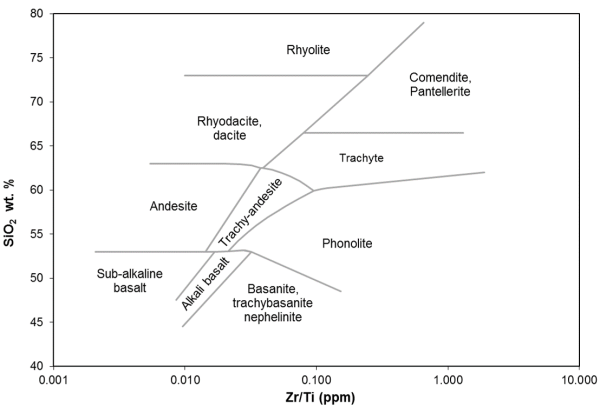 *Consider the effects of alteration and crystal fractionation. 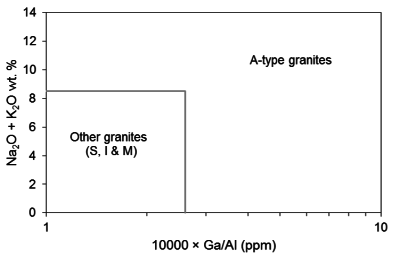 Discriminate within-plate granites, volcanic arc granites & ocean ridge granites. 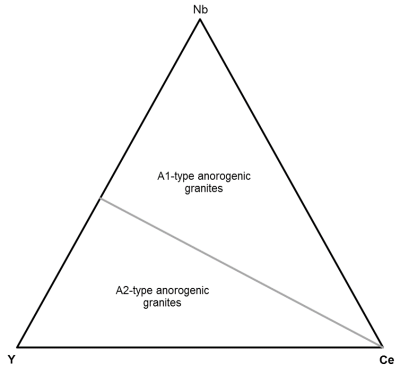 Discriminate A1 & A2 anorthogenic granites. 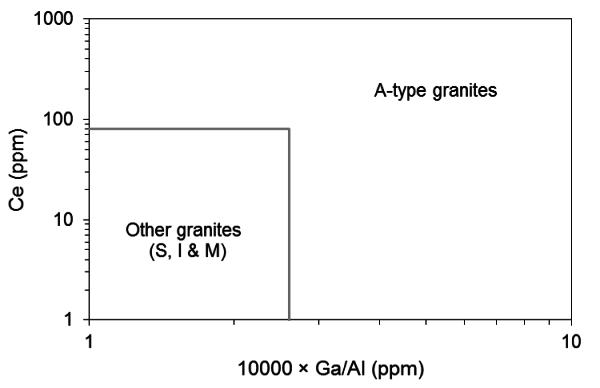 *Note your granites must be A-type granites for these plots. 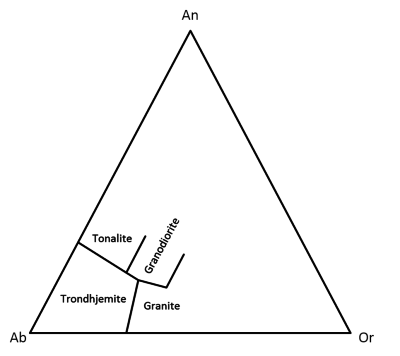 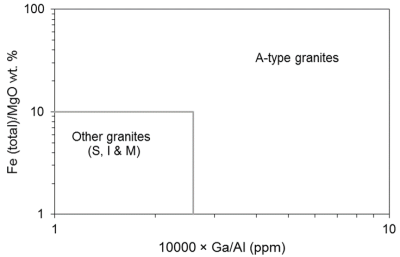 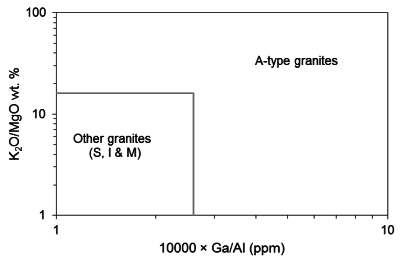 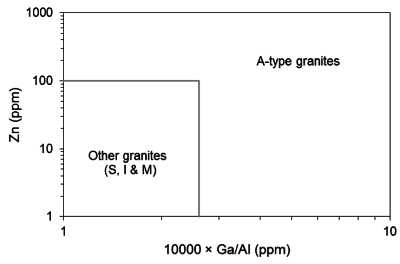 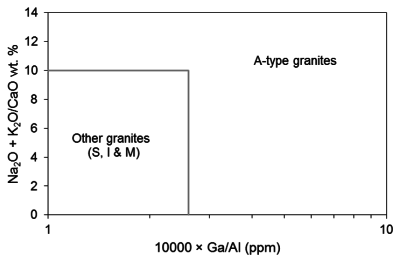 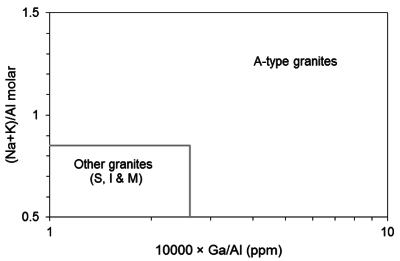 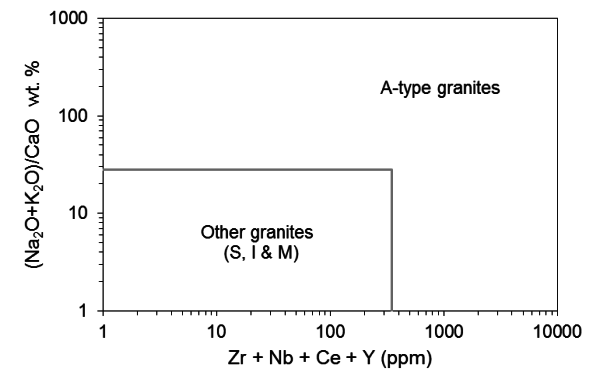 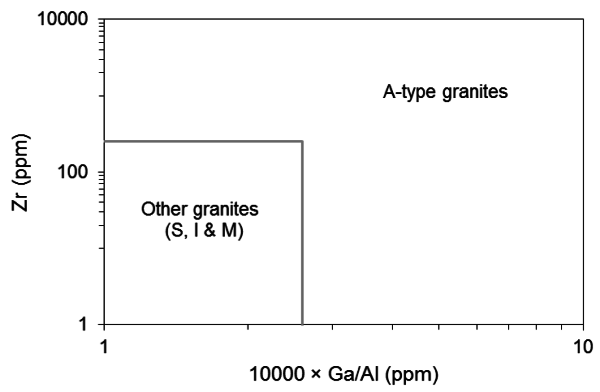 Discriminate A-type granites over other types of granite . 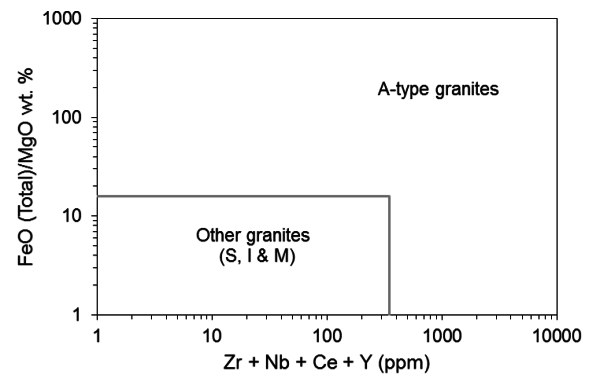 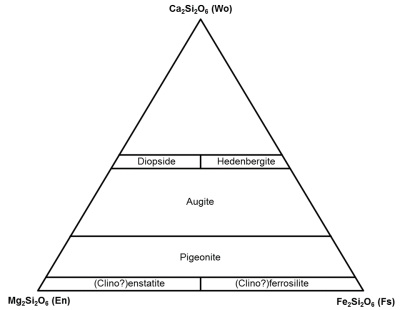 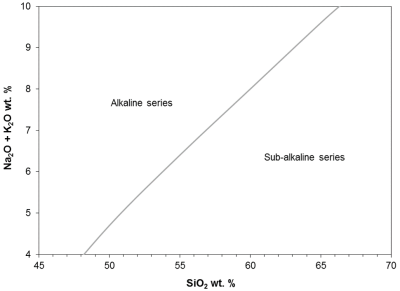 *There is a useful program (PX-NOM) by Strum (2002) to determine the structural formulae of pyroxenes.